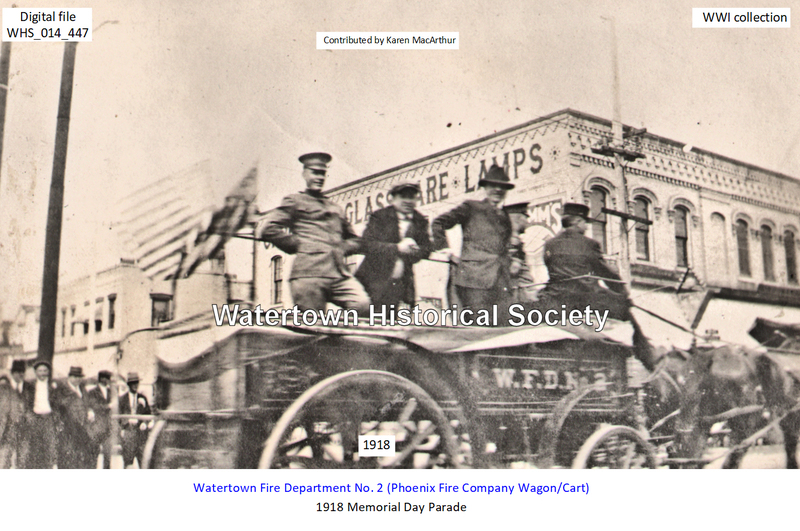 Ever since the Phoenix Fire Company was organized in 1876 and they moved into the new firehouse on the west side, we knew those dumb Irishmen thought they were a better fire company than we, the Pioneer Company, the original Watertown fire company was. The Phoenix guys were always bragging about how their pumper, a Silsby machine using a rotary pump, could get up steam and throw water before our piston-pump Ahrens. They always made of point of letting the people know that the first one at the scene of a fire was the Phoenix Company (many times they were not, but they said nothing about that), and we, the Pioneer Company, being composed of fine, modest men, never bragged about our expertise. Charles Kerr, charter member, fire engine driver. 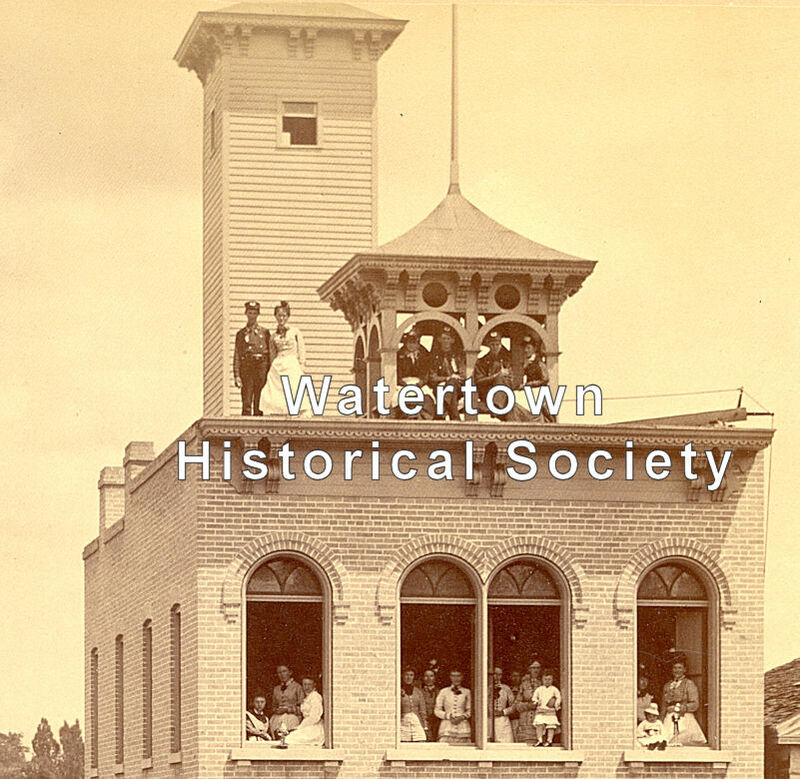 But even with the intense rivalry between us, we never allowed that to interfere with our work and when the State Firemen’s Tournament took place in Watertown, we cooperated wonderfully, functioning, usually, as one team. In fact, all the fire companies participating got along beautifully; all except those backwoods rubes from Portage. They were especially obnoxious during that tournament in 1887. Their newspaper, the Portage Daily Register was made available to us and we laughed among ourselves when we read the excuses the Portage paper offered for their “fire laddies” not doing better in the contests, especially one of the first contests in which Portage came in fourth. Although other contestants protested vigorously about the officiating, protested almost to the point of fisticuffs, the “Silsby boys” (as the Portage paper referred to their fire company), the Portage laddies, according to the Daily Register, “displayed gentlemanly behavior, as was their nature.” There was, the newspaper reported, not a more polite, congenial, cooperative group than those Portage boys. 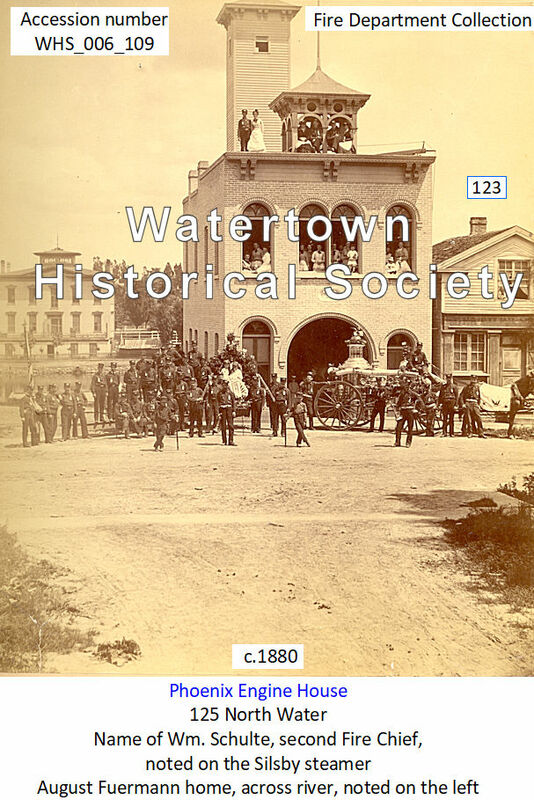 When a rung on their ladder broke during a hook and ladder contest, and they came in fourth, being bested by Fort Atkinson, they were reported to have been the very essence of good sportsmanship. They “did not a word of kicking”. A nicer group could not be found. But, the Daily Register said, it should be noted that the Portage boys would have done better in all contests had they worn “gauze shirts, canvas shoes and other light-weight clothing as the competition did.” They were clearly the most deserving of any group in the tournament. Had trophies been awarded for niceness, gentlemanliness, civility and/or similar traits, clearly, the boys from Portage would have won them all. It literally made us sick to read about them. Everything went along smoothly until about noon the first day when we found ourselves in an embarrassing situation. At 11:30, in the midst of the contests and festivities, the fire alarm was sounded indicating that the Rough & Ready Mill at the upper dam about two miles from the tournament grounds, was on fire and needed help. Our Pioneer Company along with the Phoenix Company immediately sprang to the rescue and rushed the Silsby and Ahrens pumpers to the blazing mill, and proceeded to pump water on the blazing wood -- I should say we tried to pump water. Almost immediately the leather hose on one pumper burst and then the hose on the other pumper burst leaving the Watertown boys standing there helplessly watching the fire consume the mill, and hearing the caustic comments of our fellow-firemen. The Beaver Dam hook and ladder company, which had responded to the alarm with their equipment, set up their pumper and rendered a great service in saving adjoining property. It was all highly embarrassing for us. Those leather hoses were known for their propensity to burst at critical times; why couldn’t they have waited for just one more fire? And did the boys from Portage gather around the Watertown boys, slap them knowingly on their backs while uttering words of help or at least condolences? Not on your life! Instead, those peace-loving, uncomplaining Portage boys, not wanting to cause any trouble, not kicking about anything, loudly offered the observation that, on their arrival at the site of the fire, only the third floor was ablaze and it was because of ill-directed work and poorly maintained equipment that the mill was a total loss. 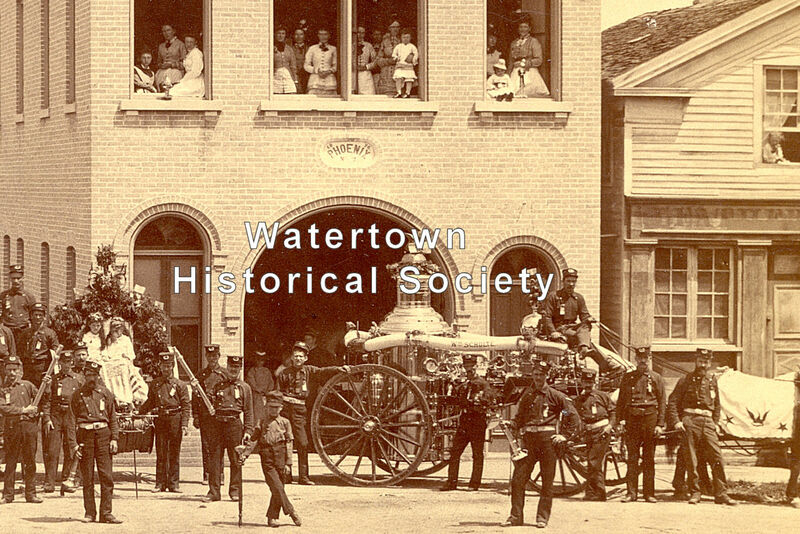 They let it be known that with their fire chief and their single steamer they could have “discounted the two Watertown squirt-guns and the whole department”. Rather harsh words, to be sure, but well-meant because they were, as the Portage paper had pointed out, peace-loving, congenial men, not prone to kicking or taking part in any “rumpus”. When the day was over and we had a chance to reflect on the day’s happenings, we found it difficult to forget the cutting remarks and behavior of the Portage crews. We tried to put the memories behind us and concentrate on improving our performance based on what we had learned in the course of the various contests, but it rankled to recall that we had essentially been called incompetent, and our pumpers had been called squirt guns, a epithet especially disconcerting since one of their pumpers was a Silsby, almost identical to ours. It was very disconcerting to recall that they bragged that their single Silsby pumper could have outperformed our two machines had the hoses not burst. Upon arriving on the scene of the fire, the Silsby took water at the platform on the river bank nearby, and was red hot -- prepared to pump the Wisconsin River dry, if need be -- but there was a delay of half an hour before the hose was gotten into position so that the stream of water could be thrown. For some reason the Silsby boys did not turn out with their usual alacrity, and as there were very few other men present because of the stinging cold, the hose was not handled with customary rapidity and effect. This company has received severe censure from the local newspaper for not turning out more men. 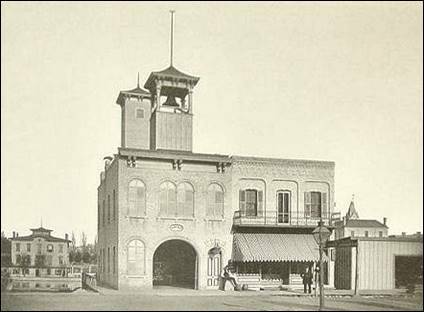 The Phoenix Fire Company was before my time, but I remember the station on Water Street. Used to go there and look through the windows. It was like a museum. The horse harnesses were suspended on the ceiling and dropped on the horses when they hooked up on the engines. They kept the horses down below the station. I remember one of the drivers, Bill Spear. Later he had a team of horses for the sprinkling wagon to wash the streets. We used to go to the corner of Jones and Dewey Avenue where he filled the tank from the fire hydrant. It always overflowed. There was a gas engine on the back of the water wagon for pressure to the sprinklers. Sure brings back memories. Cross Reference: Drivers of sprinklings taking water from hydrants . 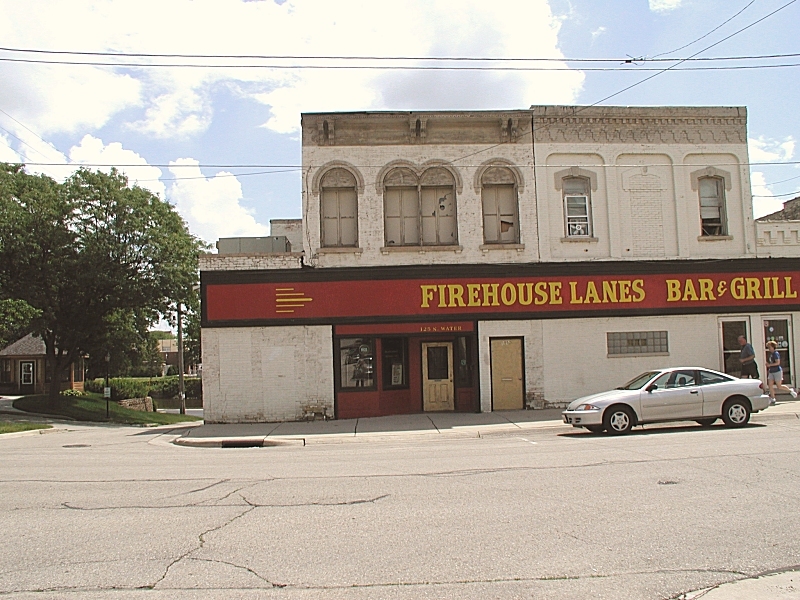 . .
Firehouse Lanes has been sold to Watertown Investment and Redevelopment Company, LLC (David Schroeder, president). Randy and Gloria Kuckkan, owners of the buildings and business, said they will continue to operate the bar and grill into early 2019 before closing permanently. However, they said the bowling side of the business will end this summer, shortly after the closing. The six lanes, pinsetters and other related equipment will be removed and sold and the bowling side of the business will permanently close. 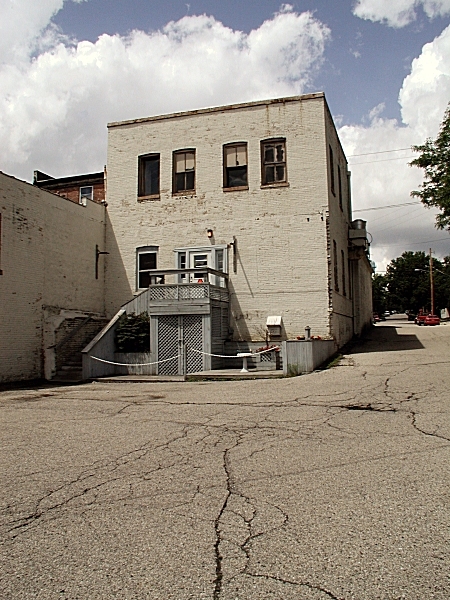 The group has also purchased the former Tom’s Tap at 121 N. Water St. Tom’s Tap had not operated as a business for several years and in recent years was used as housing only. The long term plan is to raze both buildings and have them prepared for development when the right situation comes by. The closing of Firehouse will bring an end over a century of bowling at that location, and leaves the city with two bowling establishments, Watertown Bowl 18, 102 W. Cady St., and Watertown Bowl North at 766 N. Church St. Both businesses are owned by Diane Mallow and family. 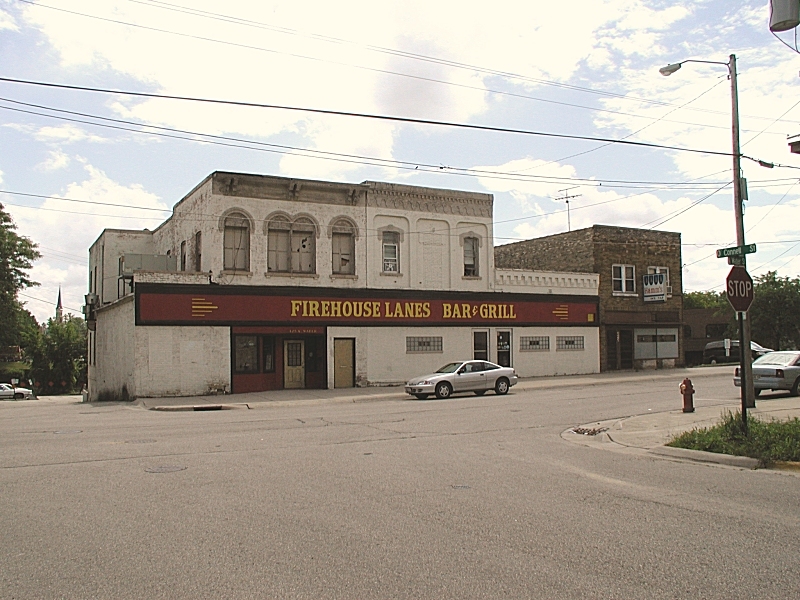 Early records indicate Firehouse Lanes originally became a bowling alley over a century ago, in 1916, when it was formed by the Maertzke family and it has been in continuous operation since that time. The Kuckkans have owned the business since December of 1991 and then three years later they purchased the real estate from Bob Krebsbach and Jerry Dusso who had operated the lanes in the past. Charles Cech, proprietor of tannery, dealer in leather, shoe-findings, hides, pelts, etc., was a member of Pioneer Fire Company, No. 1.